Jayne's Clinic is situated in shop 4 Suncity Arcade, just off the bustling Bulcock Street in Caloundra on Queensland's beautiful Sunshine Coast. 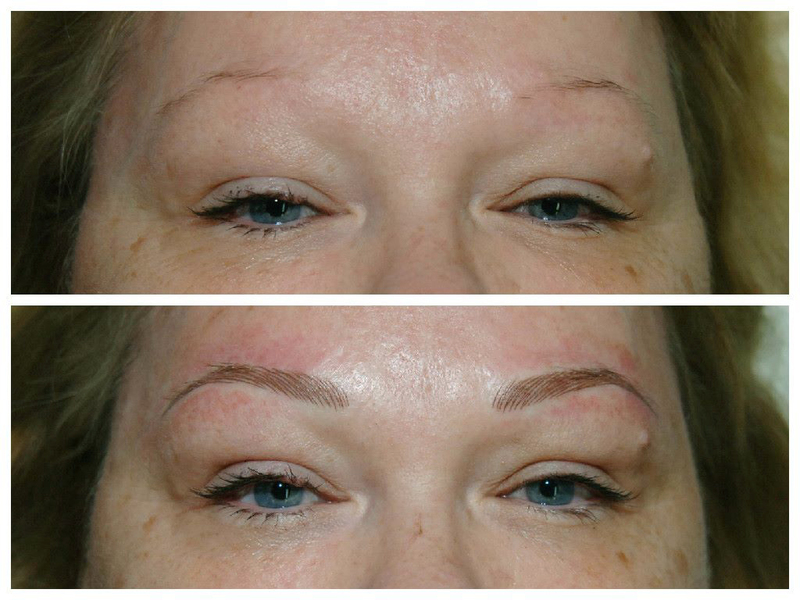 Jayne's practice specialises in Micropigmentation, otherwise known as Cosmetic Tattooing or Permanent Cosmetics. Highly skilled cosmetic tattoo procedures are used to enhance the natural features of the face. Pharmaceutical grade colour pigments are implanted with precision and accuracy into the upper dermal layer of the skin using groups of sterile needles. Pigments can be implanted to enhance eyebrows, eyes and lips. Jayne's speciality is permanent cosmetic eyebrows where tiny delicate hair strokes are implanted to compliment the clients existing eyebrow hair. For a FREE, no obligation consultation please call 0499 803 249 or use our contact page. To view a portfolio of Jayne's work please visit her Facebook page. Permanent Cosmetics uses ultra fine sterile needles to implant medical grade pigments into the upper layer of the skin. At Dermaventure we use the hair stroke simulation technique where tiny hair strokes are strategically placed within the existing eyebrow hairs using colours which compliment the skin tone and natural eyebrow hair. This treatment is perfect for filling in gaps in sparse eyebrows and creating an enhanced eyebrow shape. It is also ideal for clients who have medical hair loss conditions to create the bespoke eyebrow. Cosmetic tattoo eye make up uses groups of sterile needles to delicately implant medical grade pigment through the lash line of the eyelid. This procedure creates the illusion of thicker lashes and in turn defines and accentuates the eye. The treatment is fabulous for busy people who wear make up daily and want to rid themselves permanently of that tired eye look and instead opt for a more alert and made up look for the day! Your eyes are the windows to the soul, why not enhance these beautiful features. Bespoke treatment for each client. Permanent cosmetic lip treatments use groups of sterile needles to implant medical grade pigment into the perimeter of the lips (vermillion line and cupids bow) and then blend the colour into the lip. This is a lovely treatment to enhance the shape of lips and give the illusion of fullness. The treatment brightens up the lips by adding colour. We use Ecuri pigments and have a beautiful range of colours from natural blush to more vibrant. No more lipstick - Just Gloss & Go! The treatment is tailored to the individual needs of client.